This book is designed to assist pre-service and in-service classroom teachers in weaving music, visual arts, drama, and movement into the elementary/middle school curriculum in order to stimulate the learning process, enrich other subject areas, and provide opportunities for creative expression and self-fulfillment. By providing the basic tools and activities that teachers will need, Gelineau helps teachers gains confidence in using the arts in the their elementary classrooms. 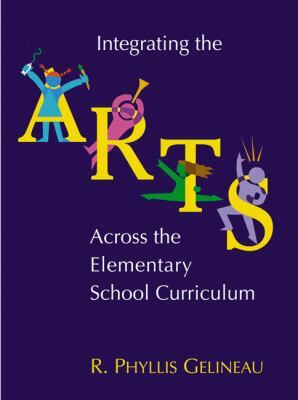 The content of the book is informed by the National Standards for the Arts.Gelineau, Phyllis is the author of 'Integrating the Arts Across the Elementary School Curriculum', published 2003 under ISBN 9780534611415 and ISBN 0534611419.